If you've seen the Flaming Lips in concert, then surely that interactive, psychedelic experience is forever ingrained in your mind. Now you can visit the multicolored art that inspires these musicians. 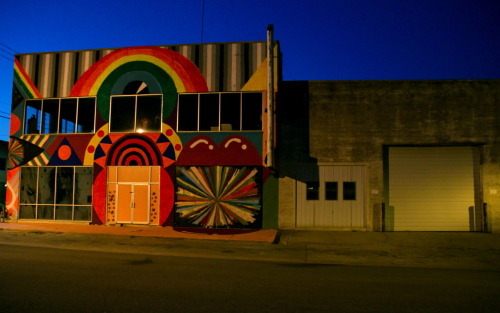 The Flaming Lips have decided to open a gallery space, WOMB, which is located in Oklahoma City and has already been decorated properly with a Maya Hayuk mural outside. WOMB's virgin show will be installed by BIGFOOT, who is flying in today to begin his work. The gallery will be open during these next few days before Bigfoot's show opening, so anyone is free to drop in and take a peak at the installation process. Bigfoot's show, "Nature Magic," officially opens on August 5. This will be a fun party.